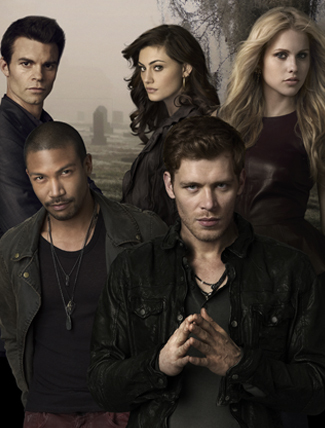 THE WILMYWOOD DAILY – 03/14/2014 NC Actress Recurs on CW’s The Originals, Red Zone, Secrets & Lies, Under the Dome and more. Wow! It’s been one hell of a week! So much content for one girl! Thank God, I have April Vickery! Please welcome her in a huge way to The Wilmywood Daily team! I swear she is my doppelganger! Speaking of which, as you probably know The Vampire Diaries has spun us a spinoff which I never miss: CW’s The Originals. The “New Orleans” based show that shoots in Atlanta, has welcomed one of our local actresses with open arms. Can we give a HUGE congratulations to MY GIRL, Alexa Yeames, for landing the recurring speaking role!! She will play Abigail on at least 3 episodes! 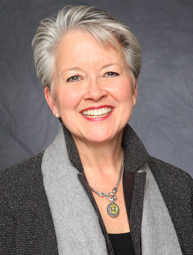 After high school, Alexa attended University of North Carolina School of the Arts. She currently splits her life between Chapel Hill and New York, but she might as well lived here in Wilmywood! She was always here for auditions growing up. Alexa says she’s only got a couple of lines in this Tuesday night’s episode, but I couldn’t be more proud of her! This 20 year-old has got exceptional talent and we really hope we will continue to see her on the big and small screen. Find out if she is a friend or foe to the Originals this Tuesday night on the CW! If you have Time Warner Cable our local Cape Fear CW is 106. It’s a return to the gallows again today for Under the Dome, a Burgaw and Currie adventure today. But no worries, the Domies will be back in Wilmington next week. CHECK OUT THE SEASON 2 PREVIEW!! Red Zone is making final casting choices…I’d say that is cuttin’ it close. They have at least 5 more stars to fly down here and do their thang! Though some have been confirmed I am sure, not one major media outlet has gotten the scoop. (said at 8:30am EST) I am sure the news to make a splash at some point today. However, didn’t I say that yesterday? The Red Zone folks did some test shoots last night and they are ready to go for Monday’s shoot in the Forest Hills area. REMINDER: Memory Lane Comics and Front Street Brewery are teaming up with two amazing men to put the “Fun” in Fundraiser Saturday the 15th! Join comic book artist, Phil Jimenez and comic book writer/animal advocate Scott Lope! READ MORE NOW! REMINDER: Cuz Fest this weekend! The Celebration of Kevin “Cuz” Davis will be at Hugh Macrae Park on Sunday, March 16th from 2:00- 6:00pm. It’s picnic style so bring your goodies. There will be some great music and some good times, just as Kevin wanted. Join Cuz’s Tribute page on Facebook. 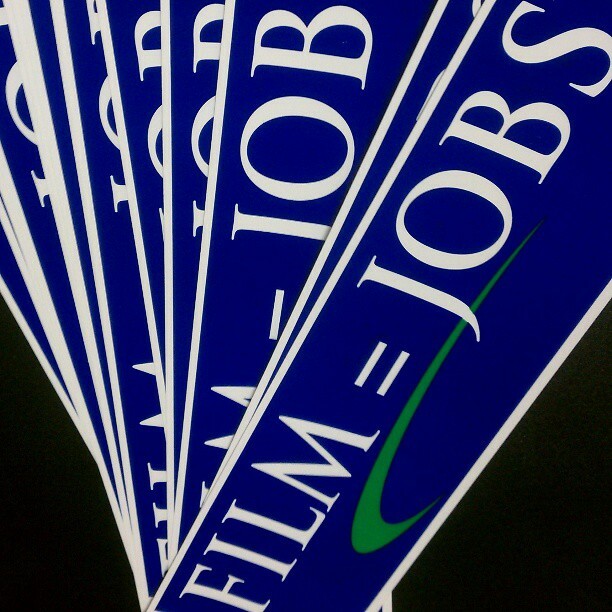 LOOKING FOR THOSE FILM=JOB STICKERS? Sunrise Broadcasting has a few. Feel free to stop by and grab you one while they last at 25 N. Kerr Ave. (near the intersection of Market and Kerr across from the new Walgreens). Offices are open from 8:30am-5:30pm M-F. Please one sticker per person please. They will run out fast! Thanks! The Sin Seer to Shoot in Wilmywood Next Month! THE WILMYWOOD DAILY – 03/04/2014 Max Steel Opens Offices, Under the Dome’s 1st Day, Secrets & Lies, and more. It was a great first day Under the Dome. The set in Burgaw was filled with CBS peeps and of course, as expected, they had a visit from Neal Baer and Stephen King himself. King, of course, was his typical humorous self yesterday. If you haven’t seen this yet, it’s short, sweet and hilarious! But perhaps the most noted part of the day was how they kicked off their first morning of season two. It was with a moment of silence for Sarah Elizabeth Jones. Their slates still branded with her name as well as a crane in large red taped letters. They made sure crew members took on the responsibility of looking out for each other as well as themselves. The rain finally had its way in the early afternoon, so they made a company move to the stage, at beautiful Screen Gems Studios, where they will be this morning. Max Steel has officially opened offices here in Wilmington, but it is not at Screen Gems Studios. I’m not sure if they want their office info released yet, so holding off for the moment. But I can give a nice warm welcome to the office staff! THIS MORNING: Scott Davis joins me tomorrow on the Sunny Morning Show to talk about the celebration for Cuz! 8:15am on Sunny 104.5. You can listen live online. Colin Ford’s Got a Message for Wilmywood! 40th Annual Saturn Awards – multiple Wilmywood Noms! 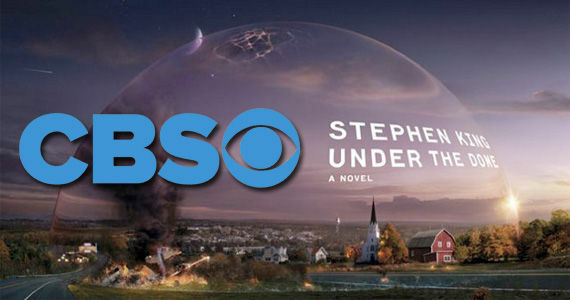 Auditions were underway this morning as Peter King and his team are heading up the stunt department for the second season of Under the Dome. And congrats to Peter and Jimmie and his whole gang! Many of us saw them while working on The Squeeze and before that Tammy last summer. Our adorable love, Colin Ford, has made into town this weekend and he is ready for season two of Under the Dome. He’s officially getting settled in his new digs! So glad the cast is all coming in! Welcome back to Wilmywood! 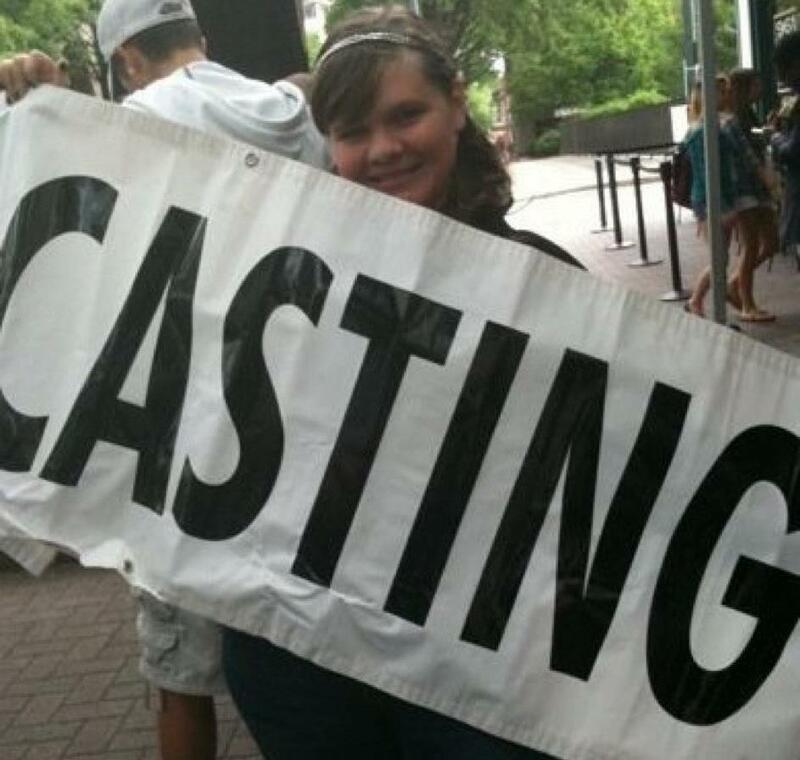 Last night, Vanessa (NCasting)had her open call for extras and stand-ins at Post 1200/Giant Culture. Good Gravy!! Did you see the line out of the door! WECT did a little story on it, and they said one lady came from PA! Poor Vanessa is probably still passed out. Over the weekend, we announced another crew call for The Red Zone. They are looking for an editor to handle dailies. The job begins around March 3rd and could run for three or four weeks. Please send your resume to: jamesbinnola@gmail.com with EDITOR in the subject line. They are looking to hire immediately. OTHER CREW POSITIONS: The Red Zone is also accepting resumes various positions for the television pilot that is shooting here in Wilmington in mid march. Please send your resume to: productionredzone@gmail.com with your crew position in the title. 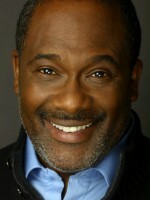 As production begins later this week for Secrets & Lies, the stars are out and about around Wilmington. Juliette Lewis was seen at O2 Fitness in Hanover Center looking beautiful as usual. Spot anyone yet? Let us know! Delaying HOUSE OF CARDS in Maryland due to their film incentives being up in the air. Sound familiar? In a letter to Maryland’s Governor Martin O’Malley, which you can read at Deadline, the Senior Vice President of Television Production, Charlie Goldstein, states that while he absolutely loved filming the first two seasons of House of Cards there, because of the incentives being up in the air (vote to come in June), they pushed production until after the vote and they are currently obligated and have already been looking at other states with great incentive packages. He went onto say, if the incentives don’t continue, they will move the production elsewhere. If there is any doubt in any legislators minds, read the article, they are not bluffing. This will happen to us if we lose our film incentives. Other states will gladly welcome productions with open arms, and we will be left in the dust. Thousands of jobs gone, million in revenue halted, small businesses damaged and/or shut down. In the meantime, thank you Dr. Ernie Ward who is running for NC Senate, District 8. And yes see for yourself. WHAT DOES ERNIE WARD STAND FOR? In case you haven’t seen this, Scott Davis did announce a date for the The Celebration for Cuz. It will be March 16th, at Hugh Macrae Park from 2 pm to 6 pm. This will be held at Shelters 5 and 6 with the Volley Ball court between them. This will be a picnic style celebration so please bring food and drink for you and yours. Due to the public park rules, we are having to limit music to a DJ format…. Classic 80s and 90s Rock should be appropriate. There will be a small stage with a microphone set up so that those of you who wish to share something will have an opportunity…..Our family continues to be lifted by your words and gifts…. For those of you who have a schedule conflict, I am sorry. This was the best available. Again I look forward to hugging each and everyone of you…. Wanna win a pair of VIP passes to the Orlando event? While we are waiting on Orlando to pick a winner for the 1st pair of VIP passes. We have one more pair to give away! These passes give you the best seats, PLUS a meet and greet with Orlando. Though each VIP s a $100 value, the experience is priceless! All you gotta do is click join to enter! ENTER TO WIN VIP PASSES NOW! LOOKING FOR THOSE FILM=JOB STICKERS? Sunrise Broadcasting has a few. Feel free to stop by and grab you one while they last at 25 N. Kerr Ave. (near the intersection of Market and Kerr across from the new Walgreens) Offices are open from 8:30am-5:30pm M-F. Please one sticker per person please. They will run out fast! Thanks! For all those who knew Kevin “Cuz” Davis (which is thousands of you) – This fund will help with the funeral costs as well as give Kevin’s family a cushion of “time and resources as they pick up the broken pieces of their lives.” So, yeah help them out even if it’s just a couple of bucks! Filmmakers and Musicians alike are mourning the loss of a great man. Kevin Davis, “Cuz” as he was so lovingly called, passed away this weekend. Kevin crossed over into both the music and film world. He’s worked on more movies than IMDb listed. Many knew him as an energetic and ever so loving Grip, but so many knew him as an iconic musician. From his marching band days at New Hanover High, to the craziest of bands he put together throughout the decades. But no matter which side of the entertainment world, people all agreed he was the most loving and kindest spirits that walked this Earth. 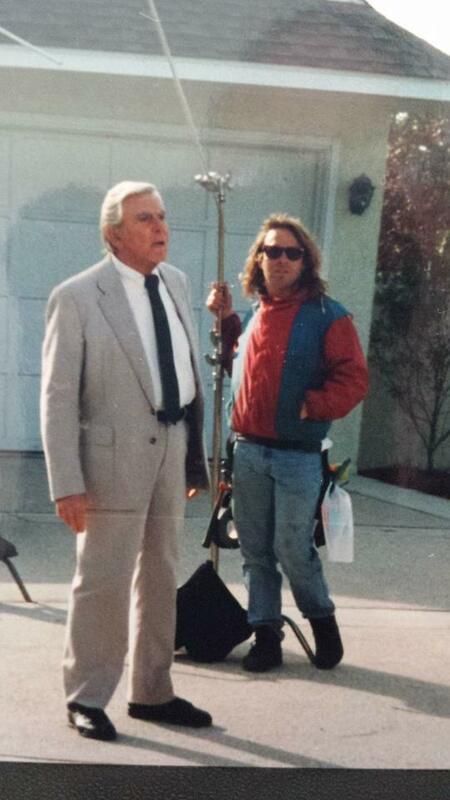 His brother, Scott Davis, also an amazing part of the Wilmington Film Family, will be organizing a fundraising effort. Please look for that effort, and of course all the love and stories about Cuz in this Facebook group. You are also encouraged to share your own stories. Our loss is Heaven’s gain, and as most people have already said, you know he’s already started a party up there.